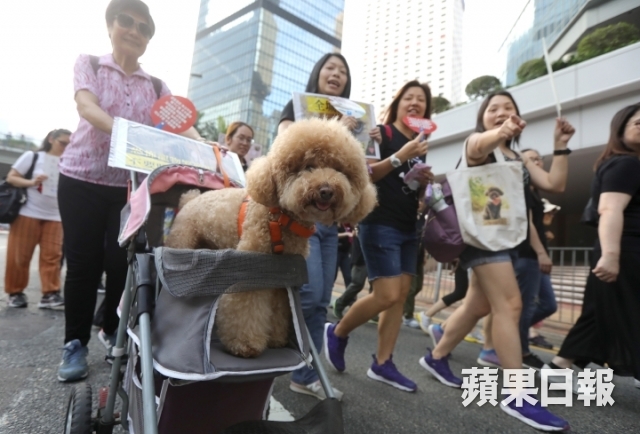 Thousands of Hongkongers marched on Sunday against animal cruelty, calling on the government to legislate an animal welfare law and impose heavier penalties for abusers. 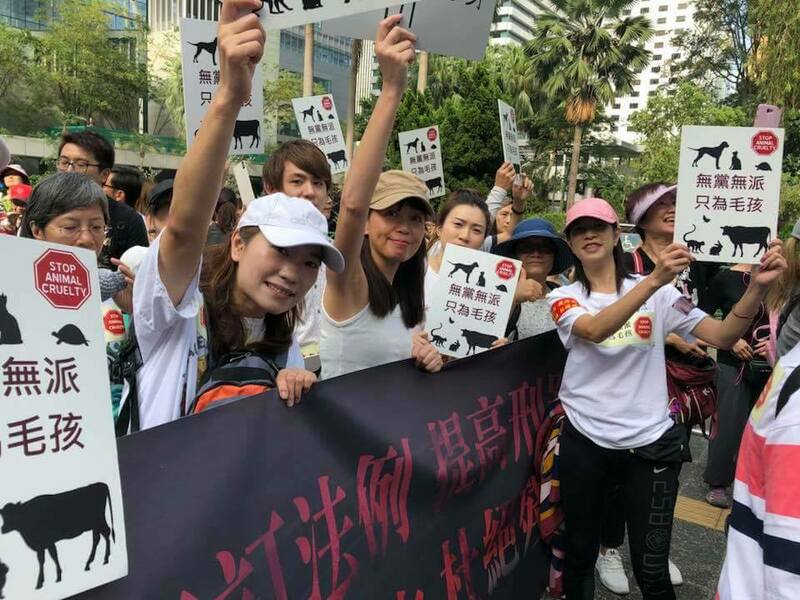 The march was organised by AnimalSaverHK, a volunteer-led group of animals lovers, following recent local cases of animals being harmed or killed. In one case that attracted widespread attention, police arrested the owner of a Japanese spitz for animal cruelty at the end of March. 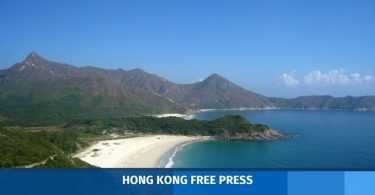 Police suspect that the dog was killed after being thrown from the roof of a 23-storey residential block in Cheung Sha Wan. At the beginning of April, a mixed breed Shih Tzu was killed after being run over by a crane truck in Tseung Kwan O. According to HK01, the vehicle did not stop immediately after it ran over the dog. The driver was not charged due to lack of evidence. At least a dozen dogs are suspected to have been poisoned this month alone – at least 10 in Fanling, and five in Cha Kwo Ling. 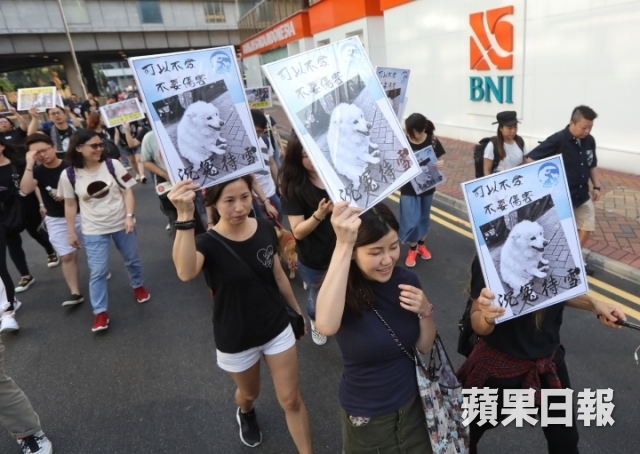 The marchers held a vigil at Central’s Chater Garden for the Japanese spitz, named Siu Bak. 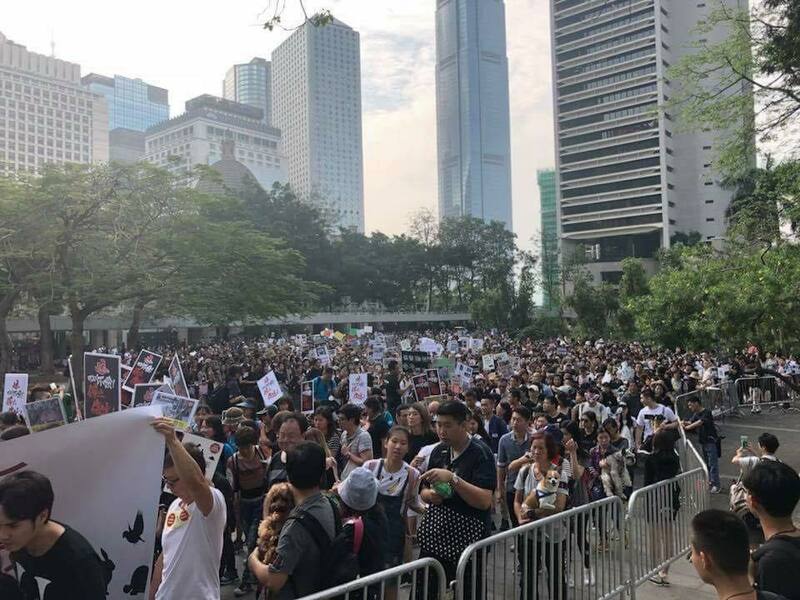 They chanted slogans such as “You don’t have to love them, but don’t hurt them,” and carried signs with Siu Bak’s photo on them. 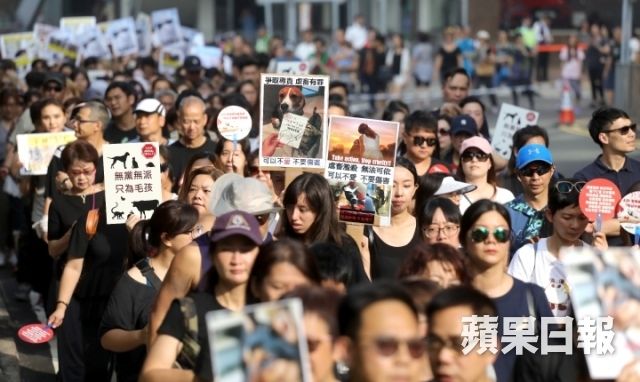 The animal welfare group said there were almost 5,000 attendees at the peak of the march, though police estimated around 1,900 attendees. Some brought their pets despite the organisers asking marchers to bring photos of them instead to avoid chaos. 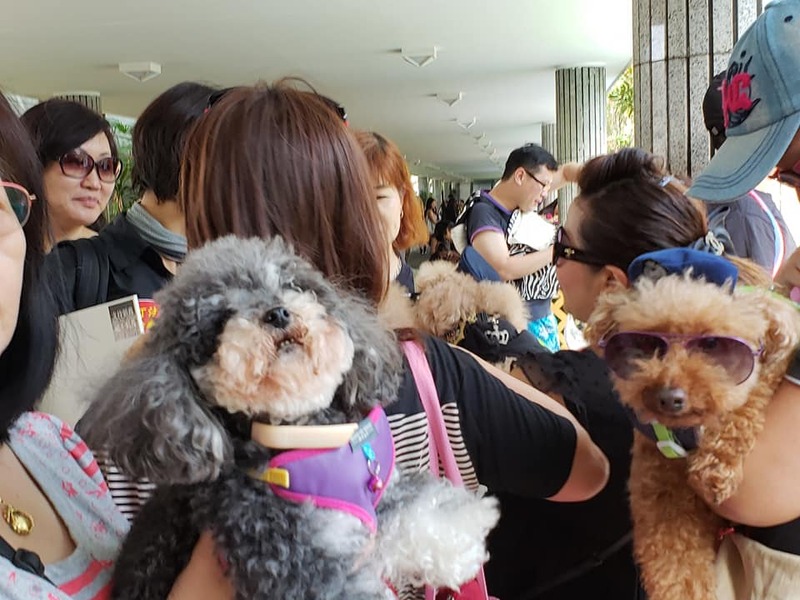 One demonstrator, a real estate agent named Miss Wong who attended the march with her poodle, said she was not politically inclined, but felt helpless when hearing about cases of animal abuse. She turned up to protest about the issue for the first time. 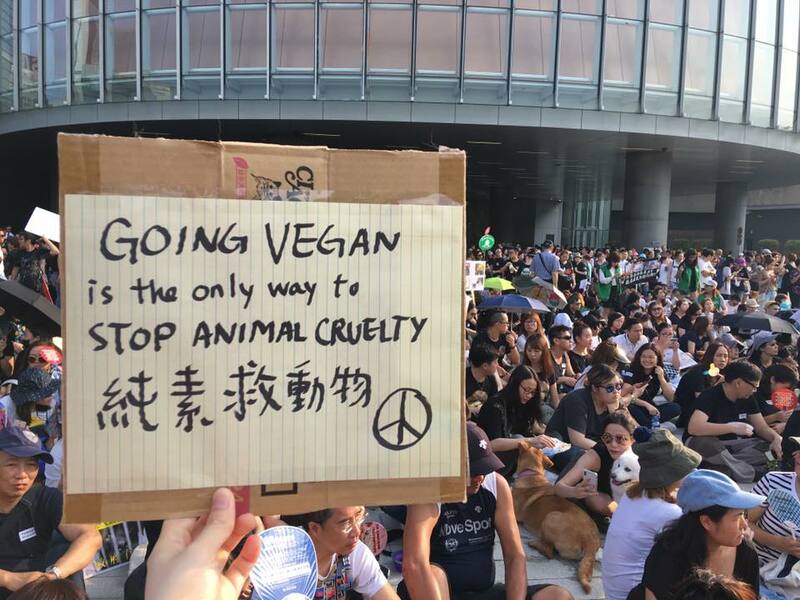 “Hongkongers say they will throw their dog onto the street when they are stressed out, but animals are living creatures – we should let these people know that they must bear legal responsibility,” she told Apple Daily. Any person found guilty of cruelty to animals is liable to a fine of HK$200,000 and up to three years of imprisonment. 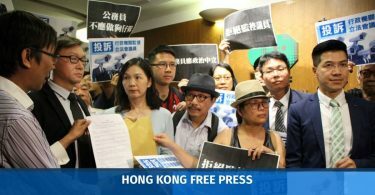 But, in an open letter to Chief Executive Carrie Lam last week, AnimalSaver HK said the full penalty was rarely enforced. The organisers also called on police to set up a dedicated department for the protection of animals. Earlier this month, the police assigned dedicated teams to investigate cases of animal cruelty in 22 districts, increasing coverage from 13 districts.